The proper landscaping can be a major boost to your home's curb appeal. A lawn is a good start--a jewel-green expanse of grass that serves as a welcome mat to the neighborhood. Maintaining your lawn takes delicate steps for preservation, from proper lawn cutting techniques to the perfect fertilizer combination to watering with the right sprinklers. Lawns also offer several garden possibilities. Choose a small backyard vegetable garden to feed your family, or carefully plan flower gardens in strategic areas around the front of your house. 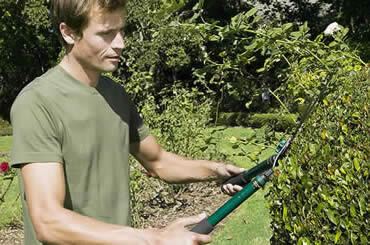 Choose a lawn service to help you with the upkeep, or do it yourself with our many gardening tips and tricks. Whether you need a significant landscaping job of many acres or simply want ideas for how to make that small backyard more attractive, our helpful articles can guide your project from start to finish, and our lawncare experts can answer your landscaping and lawn service questions.